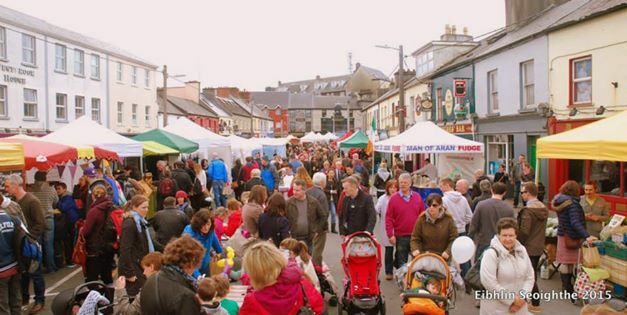 The fifth annual Galway Food Festival, which took place over the Easter weekend drew almost 70 thousand visitors across the county. The festival aims to highlight Galway as a good food destination, with a strong community focus on artisan, seasonal and local produce. The theme of this year’s festival was ‘100 years of Food in Ireland’ to co-incide with the 1916 centenary commemorations. The festival, now in its fifth year includes open-air markets, cooking demonstrations, food trails and a range of family events across the county. It’s previously been described as ‘Irelands food Mecca’ and aims to put Galway on the global map as a major food destination. This year’s event drew almost 70 thousand people – and organisers are reporting a particularly strong rise in international visitors.The festival global food village was located at the Spanish Arch and showcased produce from the length and breadth of Galway, including the Aran Islands. It follows the announcement last week that Galway has been named a European Region of Gastronomy for 2018.